Unfortunately, I spent the bulk of February in Buffalo, New York with my mom who is suffering from complications from a relatively straightforward surgery that went wrong. She’s 83 and a strong-willed woman with great faith. It’s those things that have enabled her to endure almost a month of being confined to bed in a hospital with tubes and wires vexing her body; and she has handled this with grace and patience. In so doing however, she’s witnessed to our family (near and extended) as well as a boatload of caregivers, doctors and custodial workers, that even when we’re down, Christians cry out to God. And we don’t just cry out in our need, we cry out in praise! Family, friends and hospital workers have witnessed groups of loved ones circled around my mom in prayer multiple times a day – not just keeping vigil over my mom – but praying with her. And they have seen her holding hands and making the sign of the cross after every prayer. She cannot speak because of breathing tubes and ventilators obstructing her vocal cords … but she has done everything within her power to witness to God’s unfailing love, reminding herself and all of us where our only hope lies – in Jesus, our Lord, and His saving work on the cross. 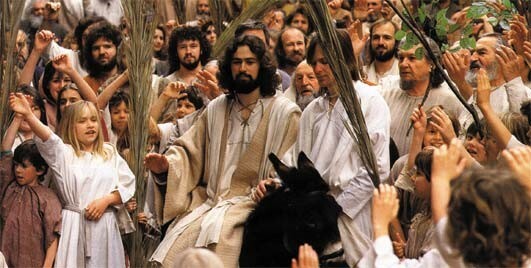 As we round the corner into March, soon it will be Palm Sunday. And my mom’s predicament reminds me of something Jesus said when He entered Jerusalem that first Palm Sunday, as crowds were gathered to celebrate the Passover. People were shouting and singing joyfully “Hosanna” – which means “save us!” They couldn’t help it. Their deepest need, and their greatest joy, was welling up in a song of hope! But there were some religious leaders who heard this shouting and they reprimanded Jesus saying, “Teacher, rebuke your disciples!” (Luke 19:39). To which Jesus answered, “I tell you, … if they keep quiet, the stones will cry out.” (Luke 19:40). Jesus says that even those with the inability to speak … would praise Jesus anyway! 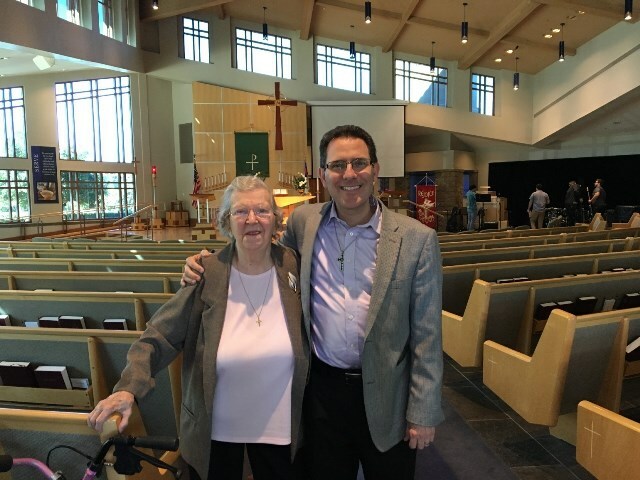 My mom can’t speak, but she is crying out to Jesus anyway – in both her need, and also in thanksgiving and joy, trusting Him to graciously provide for her as He has always done. So often we feel as though we can only proclaim Jesus when things are going well. And in some ways, that’s what the Palm Sunday crowd did. They praised Him for all the miracles they had seen Him do. They cried out to Him when they were hopeful that He would show His power and might in the ways they wanted Him to do. But as the prospects turned grim and the horizon turned dark, they one by one fled. And instead of crying out to Jesus, they only cried. And yet, the stones did cry out in their place as it were. There was a great earthquake as Jesus was crucified. The earth shook and the rocks split (Matthew 27:51). Even the tombs broke open, and the dead were raised to life! (Matthew 27:52). And then after three days, the stones cried out again as Jesus rose from the dead! There was a violent earthquake and an angel of the Lord rolled back the stone that covered Jesus’ tomb (Matthew 28:2). Even when the outlook was bleak … even those things that couldn’t speak … found a way to cry out praise to the Lord! There are many times when I find that I keep my mouth – my very able-bodied mouth – shut, when I should be crying out to God. I keep my mouth shut when I should be crying out “Save us, dear Jesus!” I keep my mouth shut when I should be singing “Great are you Lord!” I keep my mouth shut when I should be shouting “Repent, for the Kingdom of Heaven is near!” Oh that you and I would cry out with our very capable voices while we are able to speak. Listen! Your watchmen lift up their voices; together they shout for joy. Perhaps this Holy Week and Easter, which is only a few weeks away, would be a good time for you to speak up and witness to the Lord with your friends and family. They too have much to be thankful for, and many needs to bring to God. They too have mouths which were created to cry out to God. Perhaps use this Newsletter as a tool with which to shout for Joy and sing God’s praises? Joyfully proclaiming Jesus with you!